It’s hard to believe how fast things can change, especially if you spend money like a drunken sailor on shore leave. Since returning to Canada I’ve purchased a 1997 Toyota Sienna van, complete with trailor hitch that also holds a bicycle rack. Ruth and I both bought new bikes, and for the first time in my life I’m riding a bicycle that actually fits me. What a wonderful change that is. 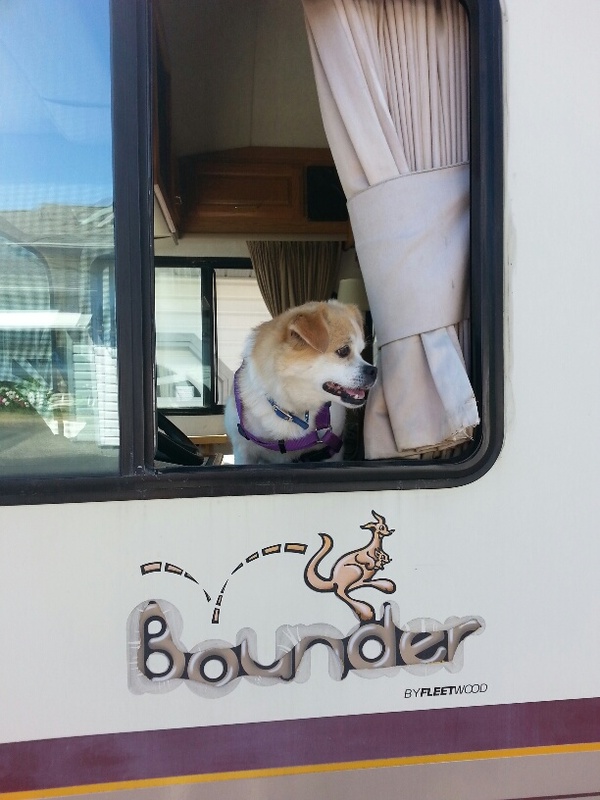 Ruth and I also bought a Bounder motor home, which Ruth has named MH Opportunity. We purchased it from an old friend of the family for a very good price, and it’s in fantastic shape. I had a motor home toward the end of the last century, but it wasn’t as big as this one. I loved it though. 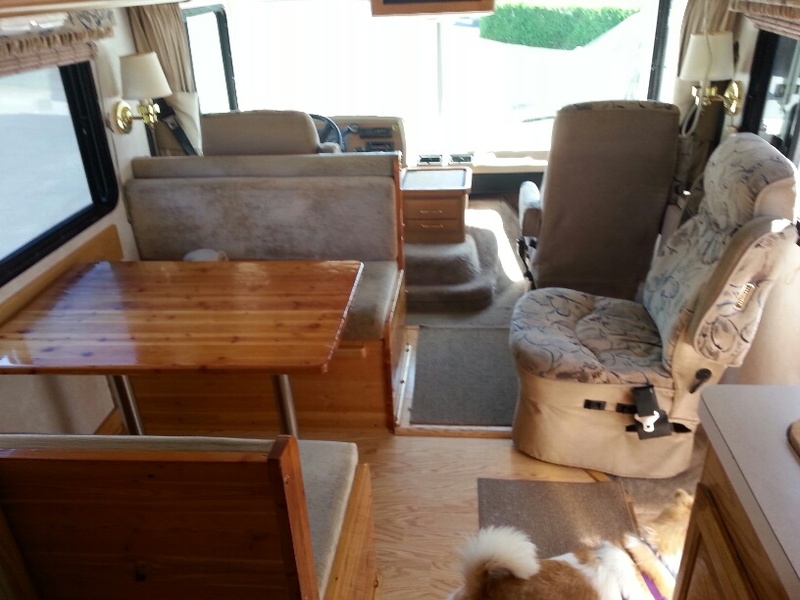 They are so amazingly self contained, with bathroom, shower, kitchen, and in this one a walk around bed. 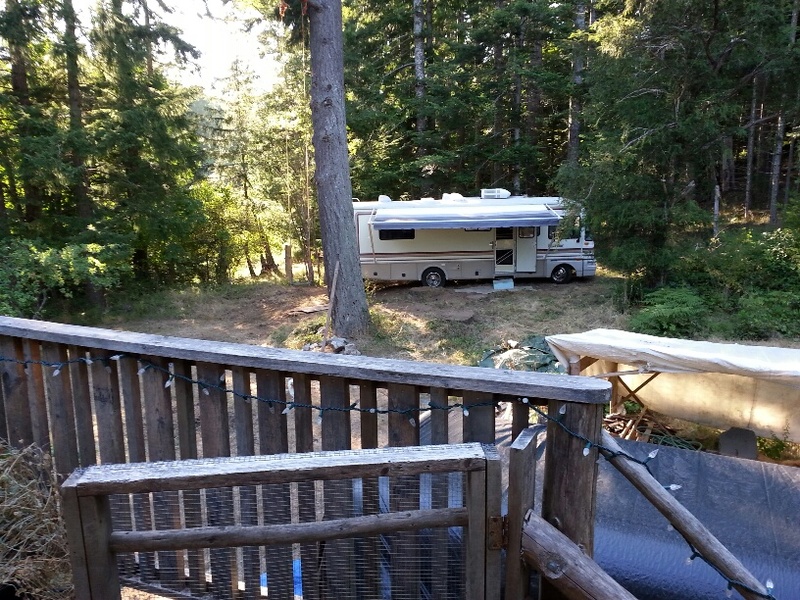 We are now parked in the yard across from my son’s lab on Salt Spring Island. This is my idea of roughing it in the bush. I’m looking after Casey’s business while he takes a much needed vacation. My son is a chemist. He formulated a product called Marseilles Remedy Thieves Oil, an anti-fungal, anti-bacterial, anti-viral concoction of natural oils. It’s now flying off the shelves in a couple of hundred retail outlets, plus Internet sales. Casey left us with a few hundred bottles in stock. All we are doing is packaging, shipping out the orders, and depositing the cheques. So it’s hardly a forty hour work week. Ruth and I have plenty of time to enjoy this splendid island. There are lots of musicians here, some quite famous. We caught Valdi at the Tree House Restaurant last week, a great entertainer. Yesterday we hiked up Mount Erskine to a fabulous view of Crofton and the Vesuvius ferry. Last night as we ate dinner, two fawn stepped out of the woods under our window. The were soon followed by the doe, and shortly after that a young prong horn buck walked across our yard. The beauty of this place is breath taking. Despite the charms of Salt Spring Island we will probably be moving back to Nanaimo around the first of November. I want to be closer to a university, and to the conveniences and culture of a larger city. So we’ll ask my tenants to vacate my house and move back in.